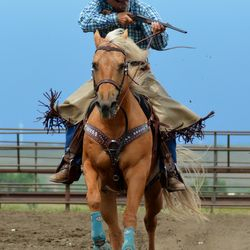 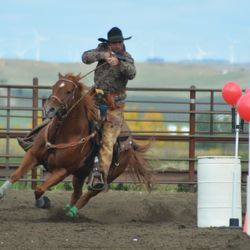 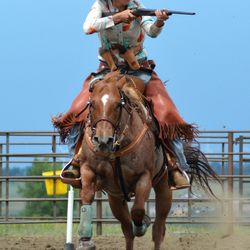 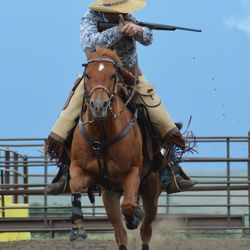 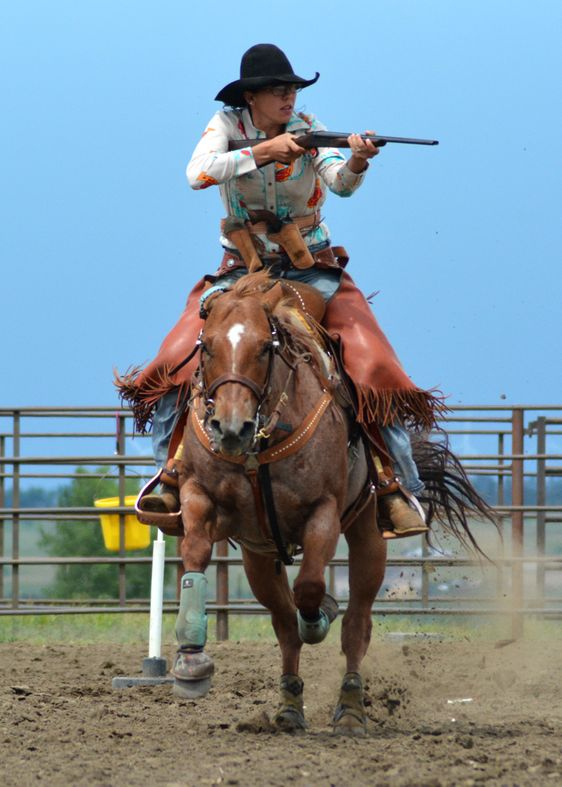 North Dakota Mounted Shooters Association promotes family participation and the preservation of old west values, period clothing, good sportsmanship and patriotism. 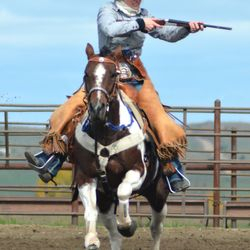 NDMSA encourages safe handling of firearms and helps educate individuals in all aspects of this sport, including good horsemanship. 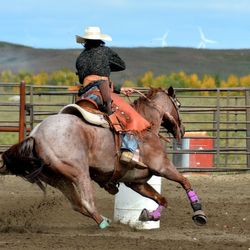 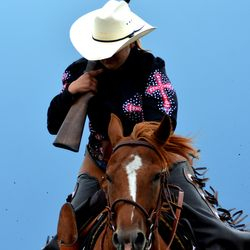 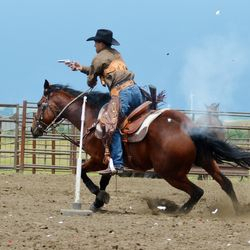 NDMSA is a part of the Cowboy Mounted Shooting Association. 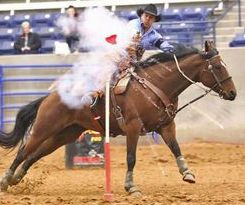 Cowboy Mounted Shooting is the fastest growing equestrian sport in the country. 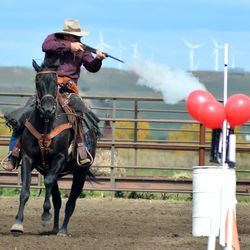 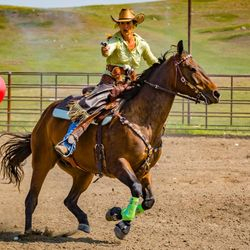 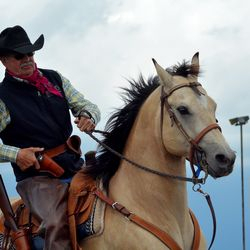 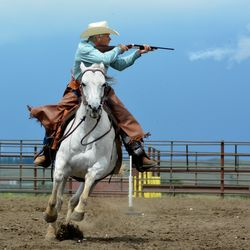 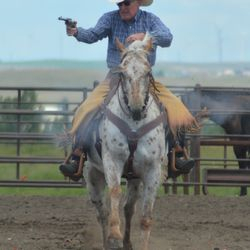 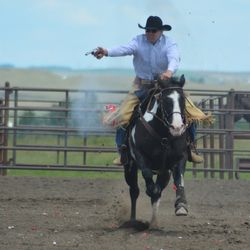 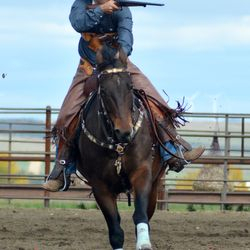 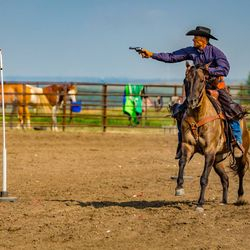 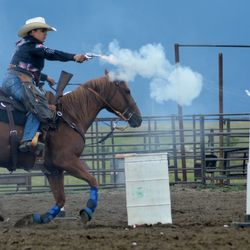 Mounted Contestants compete in this fast action timed event using two .45 caliber single action revolvers each loaded with five rounds of specially prepared black powder ammunition. 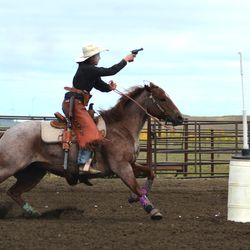 CMSA has a variety of levels of competition for everyone, ranging from novice level to seasoned professional.